This week I have mixed things up and sent the weekly blog post on studio organization out via the music studio teacher newsletter. To read this weeks post, please subscribe to our newsletter via the subscription bar at the very top of the web page and receive this week’s post directly to your inbox. Don’t worry, your email address will be used only for our newsletter. This week’s topic covers an extremely valuable web based tool on studio organization. For more info, subscribe above! The end of the school year is upon us. If you are like me, you have a few students who don’t pay on time. They always do pay you eventually, but frequently it occurs one or two weeks into the next month, rather than in the month lessons actually occurred. My normal motto for this type of situation is to kill them with kindness, and persistence. Each Friday I send a Bcc email to all my students still owing for the current month, asking kindly if they could please bring a check the following week. Most of the time I am fine with this strategy and my number of outstanding accounts drops each month until everyone is current. However, at the end of the year if you are not paid by the last day of school, it becomes much harder to track down payments. You are no longer seeing the student each week, school is out of session, and you are unable to roll the money over in to the next month’s bill. In this case I try several strategies until I am able to collect the check. First, I use a direct email, rather than my Bcc technique above, explaining school is over and everyone needs to get their accounts current. I then ask for a response in the message verifying funds will be brought the coming week. If I do not hear back this way, I try a phone call. This is a bit more direct, but sometimes works better. If no one answers the phone I try a text. If this doesn’t work I speak directly to the student about it, and will even text the student a reminder the day before to bring payment. Your last card to play is band director intervention. 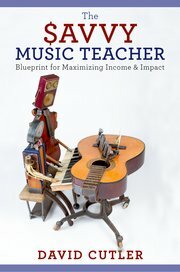 Frequently band directors wield larger influence than the private lesson teacher. So, you can try telling your student if they cannot bring funds you will be forced to tell band director. This may scare them into paying you, or you may actually ask if the band director will contact student’s parent/guardian. If all else fails school band budgets will sometimes compensate you for one month of unpaid lessons on a school by school basis. Persistence will pay off in this matter. There have been times where I wasn’t able to collect a check by then end of school and could not get in touch with parent suddenly. I just kept emailing weekly, daily, until suddenly a check appeared in my mailbox. The summer can frequently be a season of less work for the private music teacher. Students are not attending school daily, and traveling to these buildings during their band classes to conduct lessons is no longer an option. This issue, combined with family vacations, sporting events, and other summer activities can make life difficult for the private lesson teacher in the summer months. With a few proactive measures, however, you can survive the summer without going broke. 1) Plan to save-You know that summer comes each year, and will present a predictable financial issue. So, during the school year do your best to put some money aside each month towards your summer living expenses. 2) Sell the importance of summer lessons-You cannot reasonably expect your entire studio to take summer lessons. Personally, I retain about 35% of my studio in the summer. Toward the end of the year I send out a mass message asking who would like summer lessons, and highlighting the importance of reinforcement of what we have learned this year, and the upcoming competition they will be practicing for in the form of all region bands at the middle and high school level. This works better than just saying: so, you want summer lessons? 3) Cater to your better students-Your best students are already planning on taking summer lessons. The ones that are serious about music would probably be interested in hour long lessons. This is a win-win for student and teacher. In the summer there is much more flexibility, so you can schedule an hour with less of an issue, you enjoy teaching this student, you can cover more material, the student improves more, and you are paid more. I send a targeted email to my better students proposing an hour. 5) School sponsored band camps- The schools you teach at may host summer band camps, and often look to hire private teachers as staff. 6) Marching camp staff-During marching band camps directors are often looking for extra part time staff to help with marching and learning music. Private lesson teachers are usually ideal candidates for this. 7) Start your own summer camp-Many musicians have had great success starting their own instrument specific camp or series of camps. The biggest hurdle is finding a location, but once this is established you can set the duration, length of sessions, cost, and material covered. This is a good time to introduce chamber music or instrument specific choirs to your students. It can be a lot of work to organize, but will help you survive the summer and possibly grow your studio going forward if you offer it school or district wide.